The new Triumph 2018 Thruxton Modern Classic Family is one of the best family in Modern Classic offering the best performance and agility. This family consists up of two members i.e. 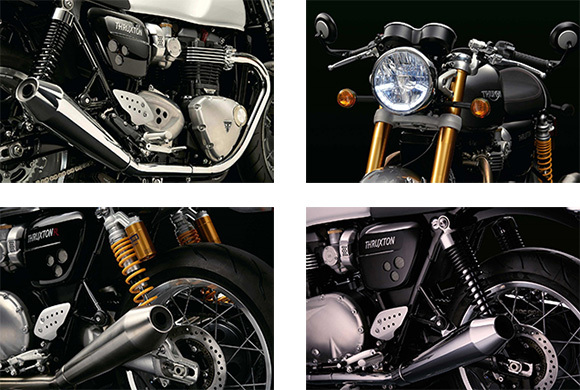 Thruxton and Thruxton R. The Thruxton is the café racer that provides amazing performance. 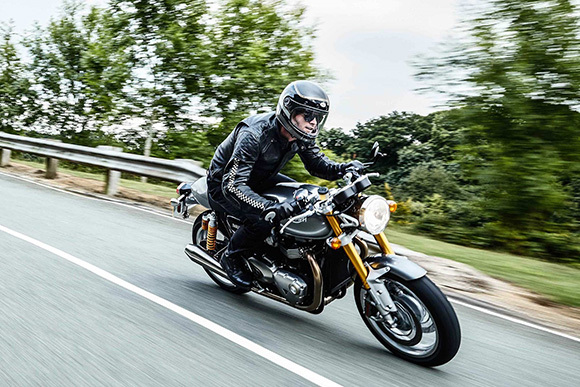 The Thruxton R is the best factory café racer that offers the most thrilling and full-blooded sports classic motorcycle. The review of the new Triumph 2018 Thruxton Modern Classic Family with its price and features have been given below. The new Triumph 2018 Thruxton Modern Classic Family features the powerful 1200cc powerful 8-valve parallel-twin engine. This engine is best known for its inertia and high performance. It comes with the six-speed engine that provides better gear ratios. This engine ensures to deliver an instant throttle response. It features the latest generation ride-by-wire fuel injection containing an authentic twin throttle body. This engine delivers the peak torque of 112ft-lbs at the low 4950 rpm which is about 62% more than the previous generation. The power output is 97HP at 6,750 rpm which is about 41% more than the previous generations. This family features the best level of finishing and detailing to have an attractive view. The exhaust system has been carefully designed to provide the thrilling sound of the British racing twin having the rich and raw note that matches its legendary name. This model ensures to provide better fuel economy while an advanced liquid cooling system has been designed to minimize its visual impact while achieving clean emissions and enhancing fuel efficiency. It is about 11% better than the previous model. The new Triumph 2018 Thruxton Modern Classic Family provides an impressive and aggressive styling that always demands another look. It comes with the highest level of detailing including the slim sculpted petrol tank and much more. 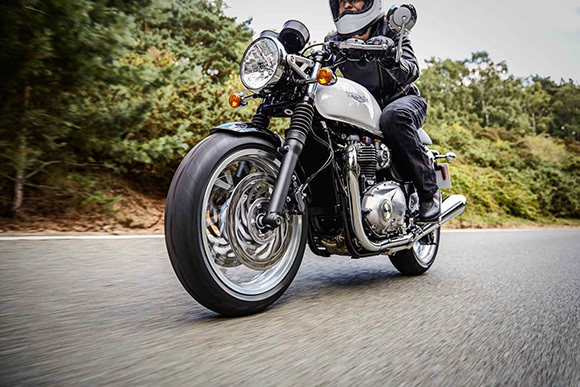 Both members of Triumph 2018 Thruxton Modern Classic Family contains an impressive fuel tank that incorporates the flip up Monza cap, bullet seat and lightweight aluminum bar end mirrors. 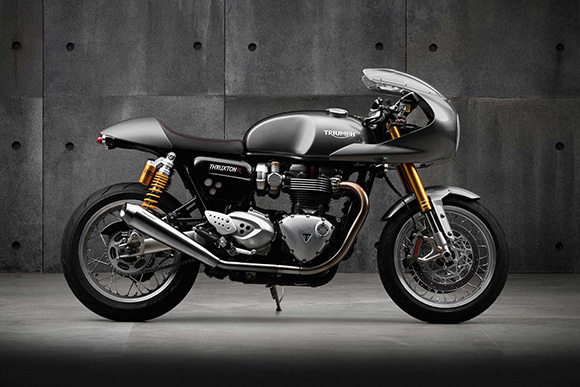 The Thruxton R comes with an additionally painted seat cowl, polished top yoke, and an anodized aluminum swinging arm. The Thruxton is available in three color options i.e. Jet Black, Pure White, and Competition Green while for Thruxton R the color options i.e. Diablo Red, Silver Frost, and Matt Black. The new Triumph 2018 Thruxton Modern Classic Family features an impressive chassis and suspension that have been optimized to deliver good handling experience like in 2018 Triumph Bonneville Bobber. It features the sporting ergonomics, clip-on bars, fully adjustable suspension with 17 inches of a front wheel. 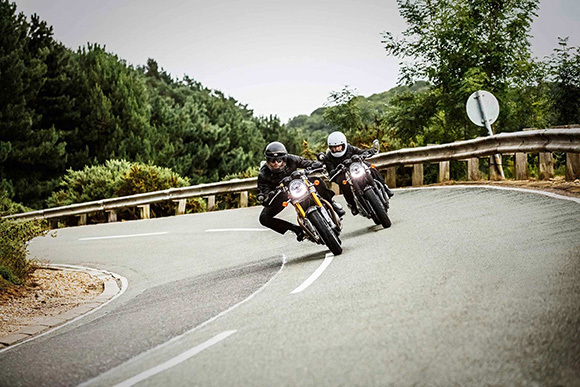 The new Triumph Thruxton R took the riding capabilities to the next level with more focused riding position. It comes with an impressive twin floating Brembo discs with Brembo Monobloc calipers and master cylinder. It also contains the new Showa USD forks, Ohlins rear suspension, and Pirelli Diablo Rosso Corsa tires. This article is about the review of new Triumph 2018 Thruxton Modern Classic Family and it is covered under Bikes Catalog. The engine provides maximum performance and acceleration under all conditions. The chassis offers the maximum riding comfort all day long. The seat and handlebars have been carefully designed to provide outstanding handling experience.